A man had a lucky escape after being thrown into the water, dragged under a ferry but surfacing on the other side. Portland Coastguard received several 999 calls during the evening of Friday 13 June 2014 reporting that a small grey inflatable dinghy had suffered engine failure whilst in the path of the Sandbanks chain ferry. The 2 occupants were unable to start the engine in time causing it to collide with the chain ferry. The 2 men were thrown into the water, 1 going under the ferry before surfacing the other side. The chain ferry, ‘Bramblebush Bay’ plucked one of the men from its own path. The other man was rescued from the water by a passing yacht. Both Poole RNLI All Weather Lifeboat and Poole RNLI Inshore lifeboat were diverted from another job, so were able to get to the scene quickly along with Coastguard Rescue Officers from Poole. The lifeboat assisted by removing the dinghy after it had become trapped in the chains and took it ashore with one of the casualties, the other being on the ferry. Both men were wet but unharmed and soon departed carrying their deflated dinghy back to the car. The 2 men were very unfortunate that their boat broke down where and when it did. 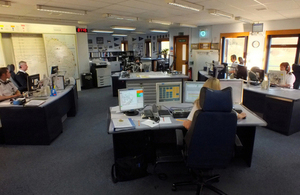 In this kind of situation quick communications are key and so a handheld vhf radio, mini flares or a mobile phone in a waterproof bag would have proved invaluable in contacting the Coastguard and requesting immediate assistance.